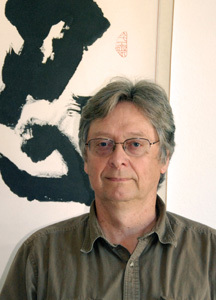 Andy Ferguson graduated Phi Beta Kappa in Chinese studies from the University of Oregon in 1973. The same year he moved to Kyoto, and subsequently to Taipei, where he studied Japanese and Chinese respectively. He first entered and traveled in mainland China in 1978, before the economic reforms, and subsequently lived in Singapore and Hong Kong where he worked as the Manager for East Asia for a USA company. 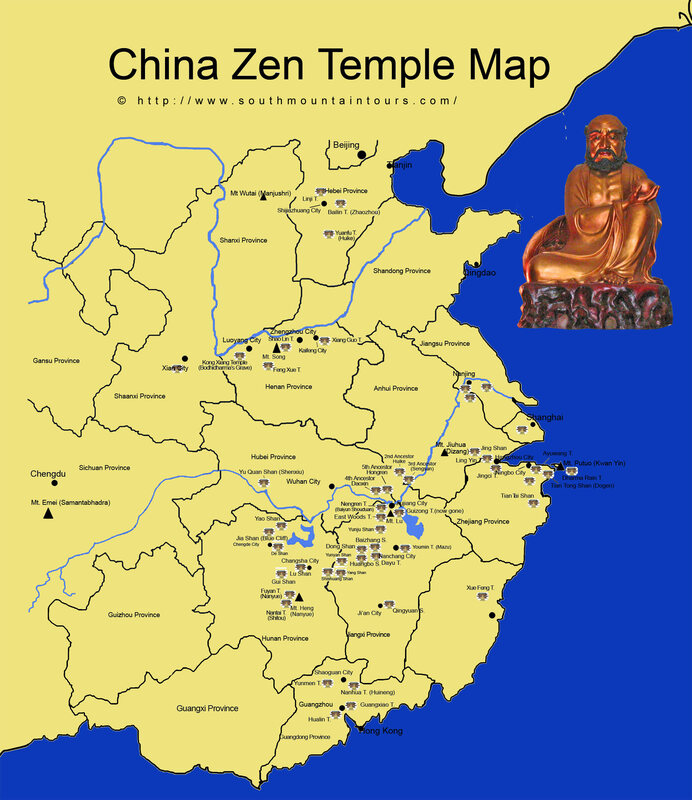 At that time he began locating and studying a wide variety of Chinese historic cultural sites, especially temples related to the Chinese Chan tradition. He is the author of “Zen's Chinese Heritage: The Masters and their Teachings,” a book in which he translated the teachings of more than 150 ancient Chinese Zen masters. The book is widely used as a reference book in academic and religious culture circles. He has also produced a two hour video DVD about Chinese history and culture, designed for people who didn't take two semesters of Chinese history in college but want to know about China in depth before they go there. He lectures frequently on Chinese culture to community groups in North America and is one of a few Americans who gives lectures in China to groups on topics of historical interest. More recently Andy organized a company called “South Mountain China Tours” that offers unique itineraries and perspectives on East Asian Culture. The tours focus on art, history, flower culture, religious history, and other educational and cultural topics. Some of the tours visit and stay at famous Chinese religious monasteries and other places where participants learn about all aspects of Chinese Buddhism, Taoism, and Confucianism in situ. With his long-time friend Red Pine, Andy has photographed sites for virtually all the early Zen masters of the Chinese Chan tradition, from Bodhidharma down through many generations of teachers. He recently was the first American to attend the annual ceremony honoring Bodhidharma at his burial temple, Empty Form, in North China. A member of the San Francisco Zen Center, Andrew Ferguson is a writer and translator who lives in Petaluma, California. Wisdom Publications, 2000; Expanded edition, Wisdom Publications, Sommerville, MA, 2011, 551 p.
FOR EVERYONE interested and intrigued, whether from the standpoint of scholarly research or experiential practice, by the early history of the quixotic yet inspirational teachings of Chan Buddhism in China extending from the end of the fifth through the thirteenth centuries that set the stage for the later development of Zen in Japan, it is gratifying to have in print this revised edition of Zen's Chinese Heritage, impeccably translated by Andy Ferguson. As a perennial seeker of knowledge who has traveled extensively to ancient temples and sacred mountains as well as to modern universities and institutions of learning throughout China, and who has poured over the classical texts of the tradition for many years, Ferguson is ideally suited to the project of putting forth in English some of the most important—and, unfortunately, mostly neglected—materials about the formation and legacy of the Chan school. And this book is an ideal introduction to the topic and a volume that will be read and reread for many years. This new edition has significantly enhanced sections on Dayi Daoxuan, Huineng, and Baizhang Huaihai. The Chan sayings translated in this volume, including dialogues, anecdotes, parables, epigrams, and gongan (Japanese: kōan) are primarily taken from the crucial collection called Wudeng Huiyuan* (Compendium of Five Lamps). This collection, which dates from the mid-1200s, is a distillation by the monk Puji** located at the major Lingyin Monastery in the Southern Song capital of Hangzhou of five previously composed “transmission of the lamp” records. These “lamp records” (based on the model of the Biographies of Eminent Monks, which had an edition issued in 988) began to be compiled at the beginning of the eleventh century, and gathered together the main sayings associated with particular teachers by following a generation-by-generation sequence that accommodates the multiple branches (the “five houses and seven streams”) of the Chan lineage. Because some of the stories contained in the earlier lamp records (particularly in the initial masterpiece of the genre, The Record of the Transmission of the Lamp of the Jingde Era) were sometimes left out of the Wudeng Huiyuan, Ferguson knowledgeably and appropriately supplements his translations in this volume with materials from these earlier texts. One of the great benefits of this book is the way that Ferguson organizes the twenty-five generations of Chan masters into three main periods. The first is the Legendary Period (480–755), which covers the time from founding patriarch Bodhidharma through the direct disciples of sixth patriarch Huineng in the seventh generation. During this phase, the actual sense of historiography is rather sketchy and stories mixing myth and magic are blended with more philosophical fare. The second period is the Classical Period (755–950), that is, from the middle of the Tang dynasty until around the dawn of the Song dynasty, when the Southern school known for its blasphemous rhetoric and iconoclastic antics became prominent along with several other collateral lineages. Finally, there is the Literary Period (950–1260), when the records of the Chan masters' sayings, which were initially probably oral teachings sometimes transcribed into notes by dedicated disciples, were composed and expanded into the recorded sayings (yulu) and paradigmatic cases or gongan. The Wudeng Huiyuan, the text from which Zen's Chinese Heritage is primarily drawn, is in many ways the pinnacle of the tradition of accumulating the teachings of diverse masters set in various genres of transmission of the lamp records, recorded sayings of individual teachers, and gongan collections. Many of the sayings here are familiar to readers from other sources, sometimes in slightly different versions, which is itself an issue that is enjoyable and challenging to sort out. The Compendium of Five Lamps is an incredibly rich resource that is very deserving of this new edition. The following tables list names of the Zen ancestors in alphabetical order in each of three common romanization systems. Names are presented in pinyin, Wade-Giles, and Japanese romaji. Counterpoint Press, Berkeley, 2012, 359 p.
Did Bodhidharma Meet Emperor Liang Wu Di?